Fox will get the first show based on a Marvel property that isn't on a Disney branded (Disney XD, ABC, ABC Family) broadcaster, "The Punisher." And purist of the comic will be upset at the deviations from the source material. As envisioned by "Criminal Minds" showrunner Ed Bernero, Frank Castle will do his punishment moonlighting style. New York Cop by day, vengeful vigilante by night. Many will be upset, but I'll hold my powder dry until I see the finished product. It's also fitting that the show will be made by Disney, but broadcast somewhere else. Since the subject matter is darker than other Marvel properties the Mouse probably wants to distance itself from the direct relation to the graphic material. Will it be a hit after the three disappointing films? Shouldn't need to worry about this show's direction too much. If it's on FOX, it will be canceled really fast anyway. I don't think Disney cares if it's on ABC, or Fox. They would if it had the "Disney" logo on it somewhere, or if was one of the Disney channels for example. When the viewer sees something on ABC, they don't see the Disney connection. Just like Touchstone. It's not necessarily going to Fox because the program is "darker". Disney divisions all charge each other for their various products. If ABC doesn't want to put up the money, they don't get the program. The Punisher probably went to the highest bidder, in this case Fox. "It's also fitting that the show will be made by Disney, but broadcast somewhere else. Since the subject matter is darker than other Marvel properties the Mouse probably wants to distance itself from the direct relation to the graphic material. Will it be a hit after the three disappointing films?" I doubt that the show will be on Fox because it was deemed “darker”. Disney’s financial business strategy often supersedes it’s lauded “synergy” strategy. As each Disney division charges any other for use of their product, they will usually go for the bigger financial deal at the expense of their own in-house preferences. So, lots of Disney programming ends up on competing networks because they pay better than ABC, which probably explains the poor content found on that station. Why would Disney pass an opportunity on network broadcast television? While the material can be considered darker, it doesn't mean ABC cannot handle it, although I would agree Disney XD and ABC Family wouldn't be the right forums. I wonder if ABC was not being able to handle another show on its schedule. Or that ABC has a show mix that excludes Punisher. Nonetheless, the fear that Marvel will somehow change Disney is probably muted. Perhaps the theme park tie-ins won't be happening soon. Punisher hasn't had the best track record, neither has any of the main Marvel movies in my opinion. They're all part of the quantity and not quality era of films. 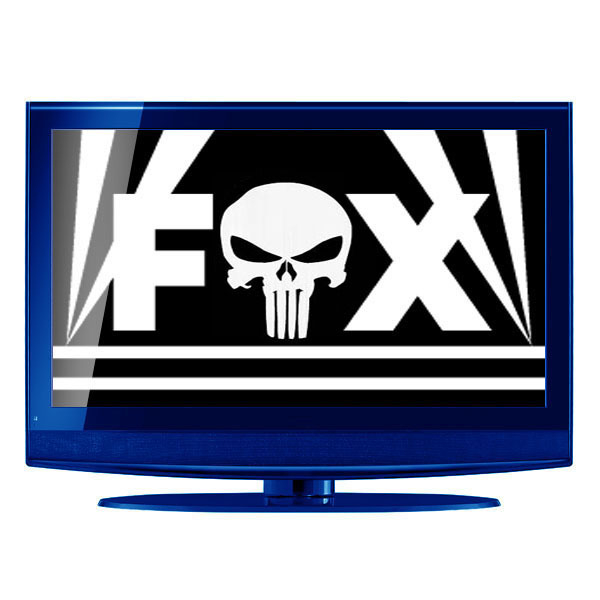 Punisher is too good of a character and frankly Fox has never been good with TV. Disney and Punisher don't mix, cause if you tried to pitch it, they'd have the "Oh, no, it's too violent" demeanor. I'd rather see a good film for a change rather than a show, something like Drive or Collateral, but because the way the studios are, that will never happen.